Double All-Ireland winner Eamon Burns is set to be ratified as Down football manager later this week. 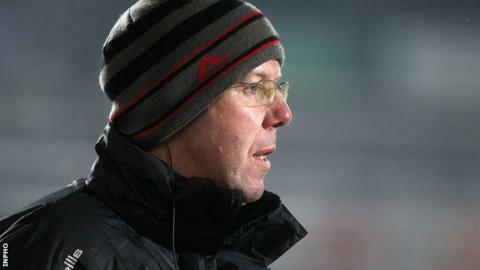 The former Mourne U21 boss has provisionally accepted the post after being formally interviewed by county officials. Bryansford clubman Burns would take over from Jim McCorry, who resigned in August after a year in charge. Burns is expected to be confirmed as Down boss on Thursday while Frank Dawson is to stay on as U21 manager. The teacher is likely to bring club-mate Aidan Brannigan into his backroom team. Burns, who played in the All-Ireland winning Down sides of 1991 and 1994, has also been in charge of Bryansford, Ballymartin and Darragh Cross.